The application for UTSIP Kashiwa 2019 has been closed. – provides hands-on research internship opportunities in the fields of natural sciences and social sciences. – offers lectures from world-leading researchers at GSFS. – is a six-week summer program for academically motivated undergraduate students. – provides a scholarship and accommodations. All participants will be assigned to a laboratory in which he/she is interested to work and will conduct a research project under the guidance of a faculty member or senior graduate students. Participants will also experience Japanese culture and world-leading Japanese technology through weekend events and a field trip. 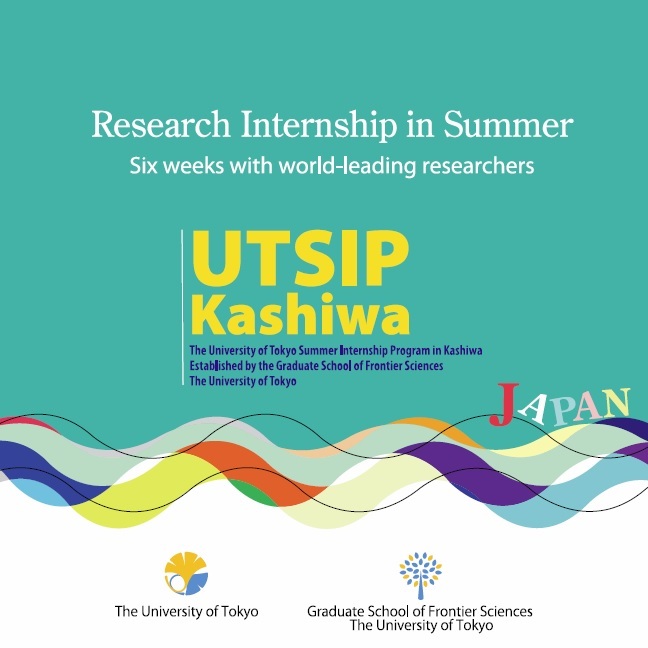 UTSIP Kashiwa, initially only for undergraduate students from overseas universities, will be accepting applications for UTSIP Kashiwa 2019 from undergraduate students of the College of Arts and Sciences, the University of Tokyo.